You are currently browsing the archive for the FEEDING TUBE RECORDS category. Blanche Blanche Blanche is the one of the projects of Zach Phillips from Brattleboro VT (comprised of Sarah Smith and Zach), his other projects include Bruce Hart, Horse Boys, GDC, Jordan Piper Philips and more. And their recordings have been released from several labels including his own imprint OSR Tapes (which has released Chris Weisman’s “Beatleboro” cassette), Feeding Tube Records, Night-People and their “Papas Proof” LP will be coming soon from La Station Radar. 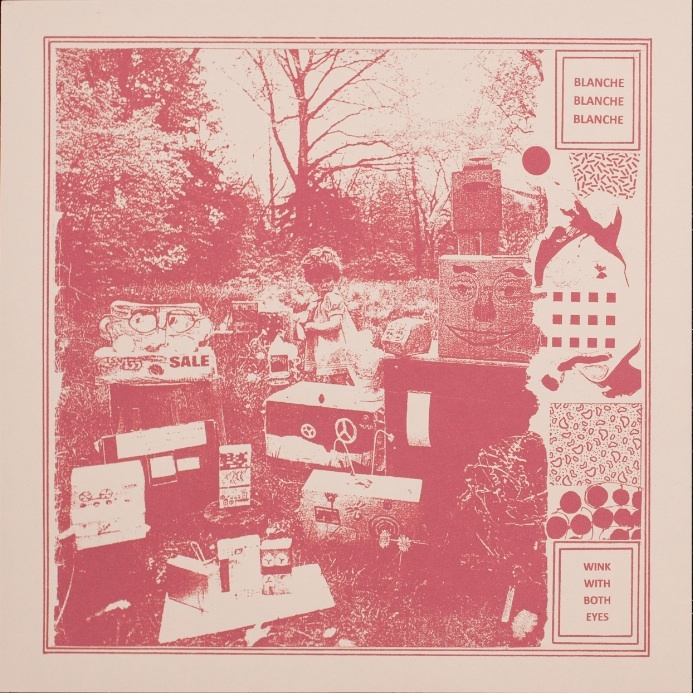 Stream the Blanche Blanche Blanche’s second Night-People release “Wink With Both Eyes” in its entirety via Ad Hoc.